These banana chocolate chip muffins are another favorite shared with us by our Associate Editor, Sarah. 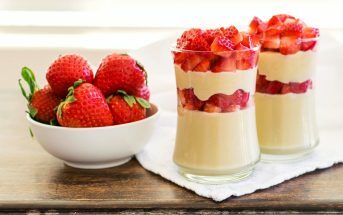 The recipe originally appeared on her blog No Whey, Mama, but she wanted Go Dairy Free viewers to enjoy it, too! The simple recipe uses 8 everyday ingredients, and is part wheat for a sneaky bit of wholesomeness. It’s also oil-free, but you can add a couple tablespoons of oil if you prefer a more tender texture. For gluten-free, dairy-free banana chocolate chip muffins, you can substitute your favorite gluten-free flour blend for both flours. For vegan banana chocolate chip muffins, most egg replacers should work nicely. You can use a powdered version, or swap in 2 tablespoons ground flaxseed or chia seeds plus 1/3 cup water or milk beverage. This easy dairy-free recipe is a family favorite. 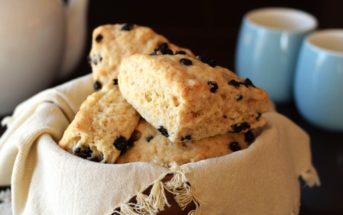 The recipe is oil free and low-fat, but if you prefer a more tender muffin, you can add 2 tablespoons of your favorite baking oil to the banana and eggs. 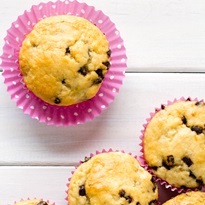 Preheat your oven to 375ºF and grease or line about 18 muffin cups with cupcake liners. In a large bowl, mix the bananas and eggs with a hand mixer or whisk. Stir in the flours, sugar, salt, and baking soda until just combined; do not overmix. Pour the batter into your prepared muffin cups. 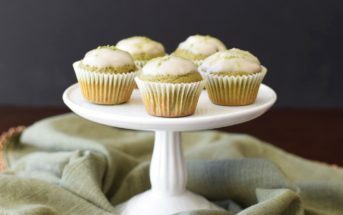 Bake for 15 to 20 minutes, or until a toothpick inserted into the center of a muffin comes out clean. I’ve just made these and they are amazing! 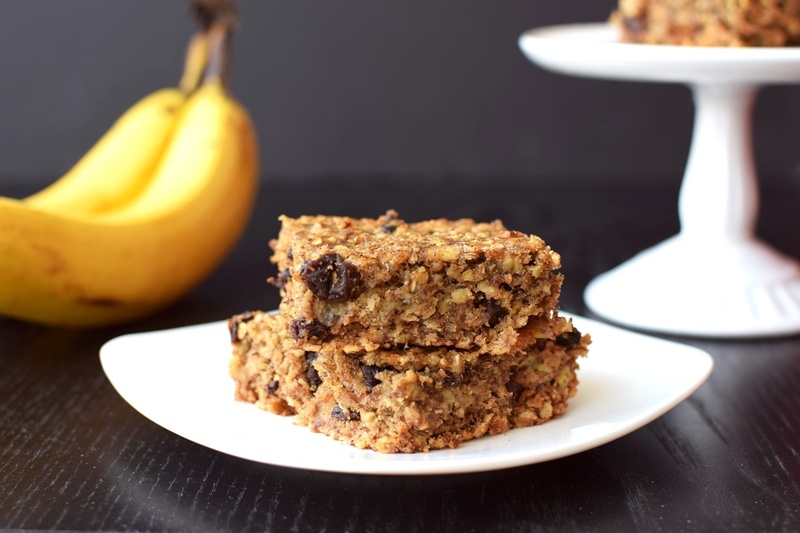 I used light brown sugar and cut the measurement down to 1/4 cup as the bananas I have are really sweet to begin with and used roughly chopped dark dairy free chocolate instead of chips. I did add the additional 2 tablespoons of oil and the muffins are absolutely perfect in texture and taste. Wonderful! So glad they worked out well for you Donna. Yes, that does help! Thank you for clarifying the cup measurement, as well as the intended texture. This recipe did not turn out that great for me. I followed it exactly, and the muffins when cooled are pretty hard and dry. Though they are flavorful. The batter was not very wet, so the recipes instructions to “pour” the batter into the tins didn’t make sense. I had to scoop the dough with a spoon. I even added the 2 tbsp oil suggested in the headnote. It would be helpful to give the amount of mashed banana needed in cups, as banana size can vary. Maybe I didn’t have enough banana which would have added more moisture. 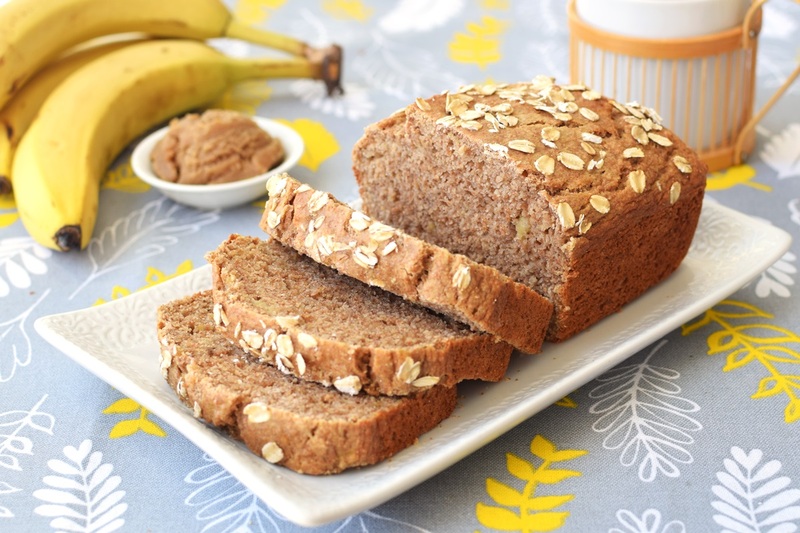 If someone else is going to make this, I’d suggest using 4 bananas, or perhaps adding a few tbsp dairy free milk? Otherwise I think the recipe needs to be tested further, as it’s not quite right as written. I’m sorry you had difficulty with the recipe, Sarah. The bananas do need to be large and ripe, totaling approximately 1 1/2 cups of mashed banana. I have added this measurement to the recipe. 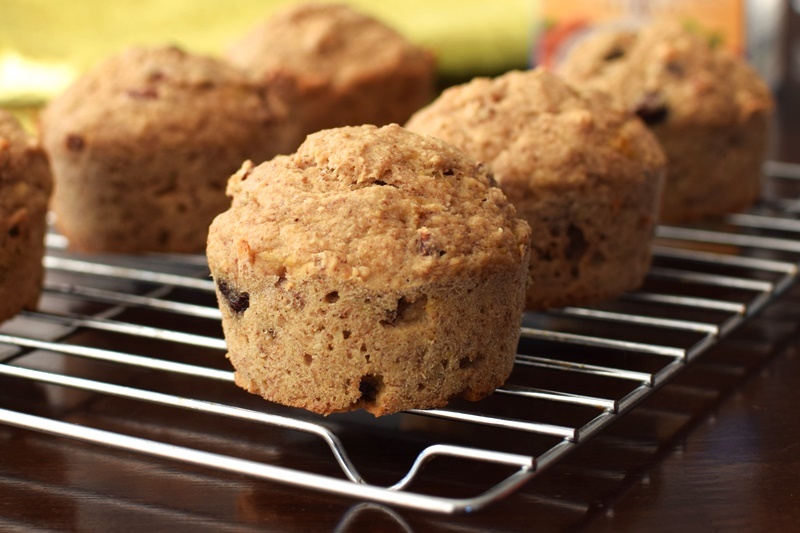 That being said, these are hearty breakfast muffins rather than fluffy dessert muffins! 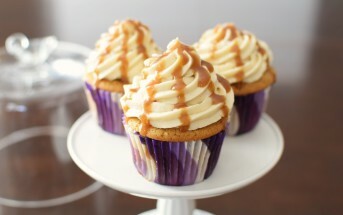 They have a close texture because of the whole wheat and low fat content. I hope this helps!